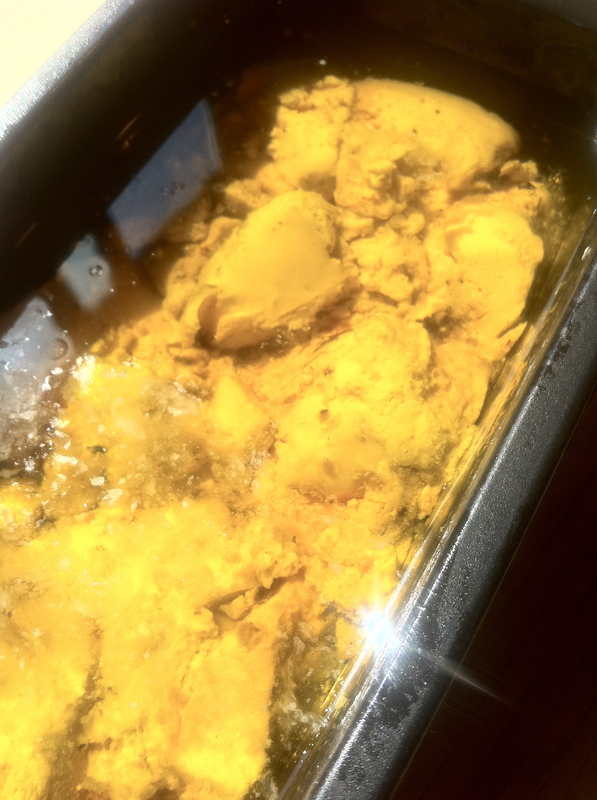 So a few weeks ago I totaled a gorgeous hunk of foie gras while attempting to make WD-50’s famous Knot Foie. 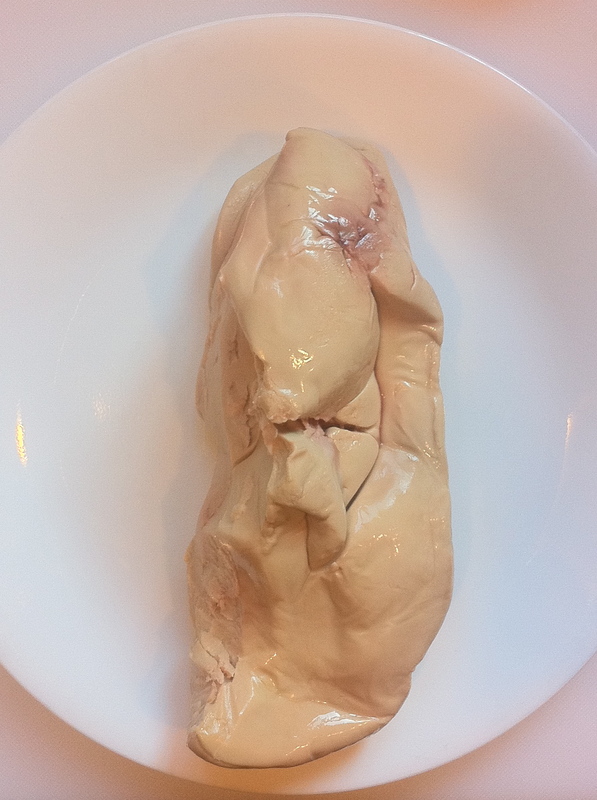 I failed the first step – making a traditional foie gras terrine, and then in my second step – trying to make my leftover foie stretchy to make a knot. 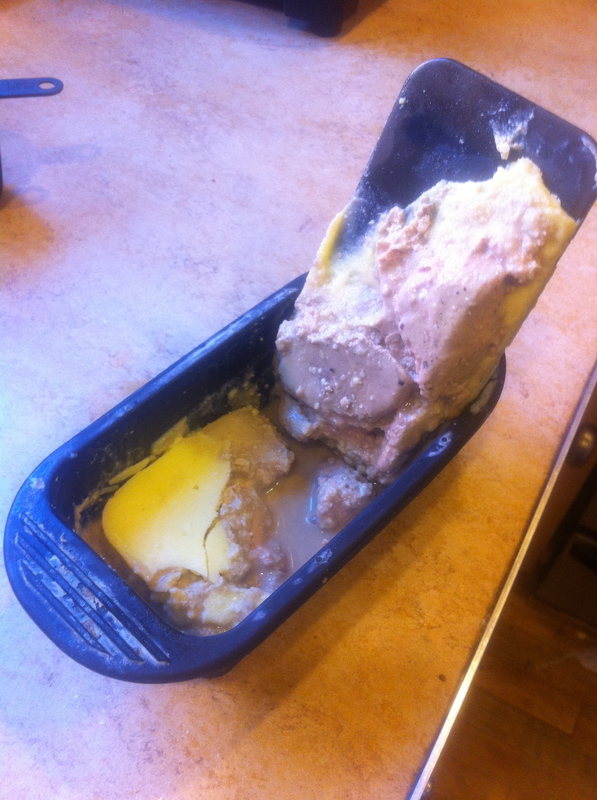 I referenced my copy of Larousse Gastronomique , the CIA’s The Professional Chef and the Internet to make sure my first attempt at a foie gras terrine was the right one. But I decided in order to get the exact internal temperature, I should use my combi oven. Scott Bakes A Doughnut. A Six Foot Doughnut. 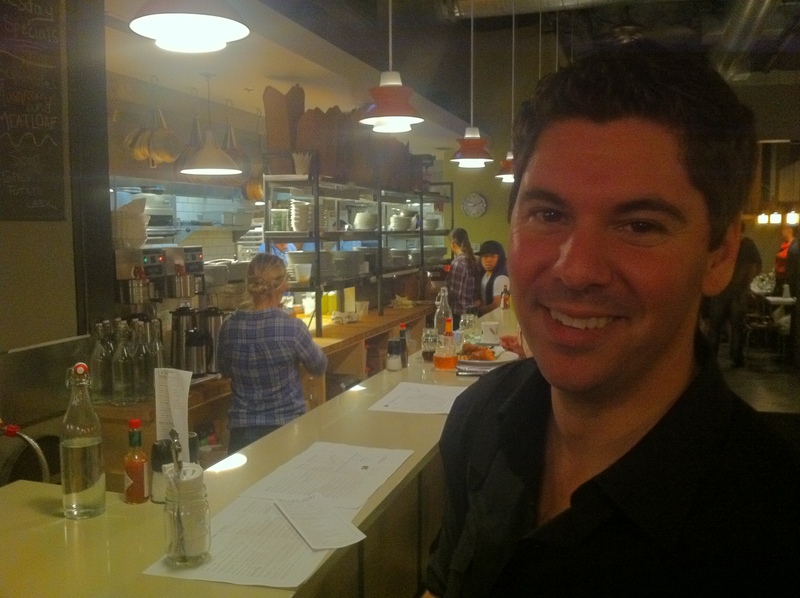 Our very own Scott Heimendinger, aka Seattle Food Geek, made his television debut Tuesday night on the Food Network’s Monster Kitchen. Scott functioned as – what else – a geek. His job was to do the calculations on how to bake a doughnut that was six feet in diameter. This included filming a guy named HEIMENDINGER locating a HUGE OVEN and then filming HIM INSIDE of it. I don’t think the Food Network thought that one all the way through. Uh, yeah. Friends and family descended upon the Skillet Diner to watch the debut on their flat screen TVs. Food and drink and laughs were served up in great quantities. Everytime Scott came up cheers came from the peanut gallery, with hisses and boos when the opposing team came up. It was a lot of ridiculous fun. See if you can’t spot the Modernist Cuisine books laid out at one point. Congrats, Scott, and don’t forget about us little people. 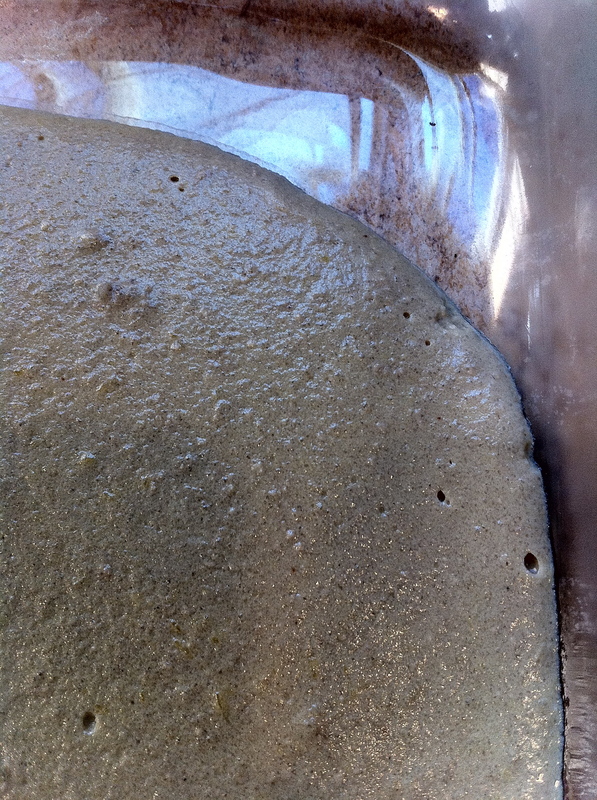 …and finally turn it into a ill-flavored goop.